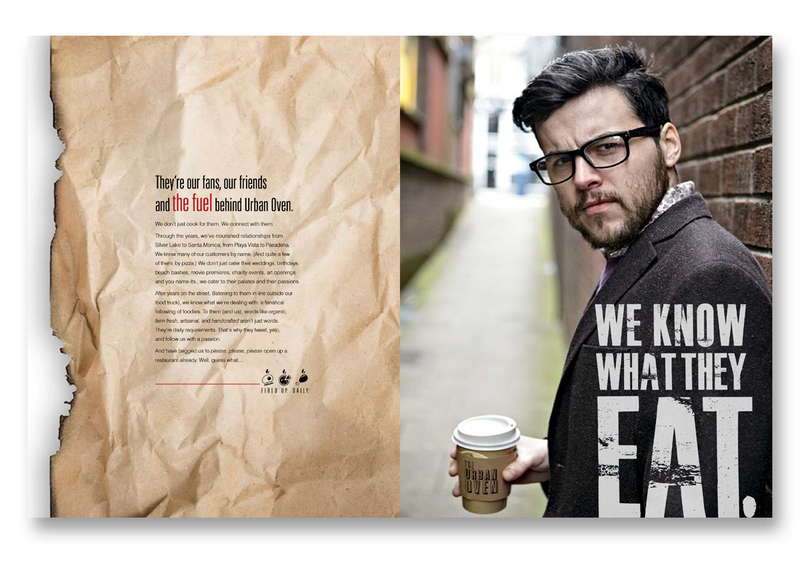 From that platform, we created a unified brand structure—complete with everything from the logo and tagline to the uniform and menus. 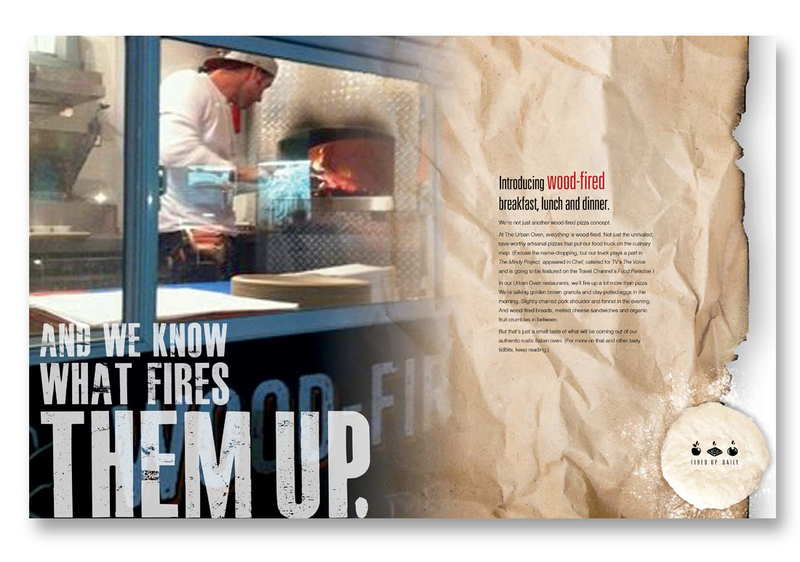 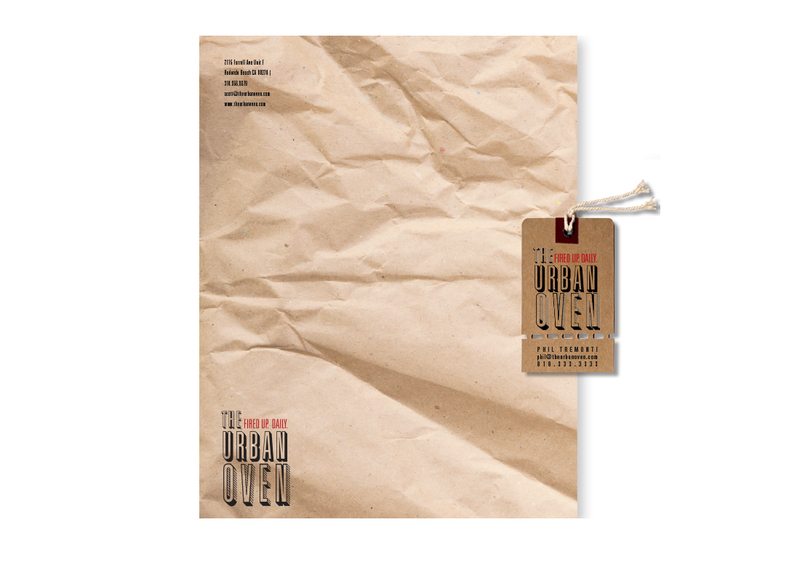 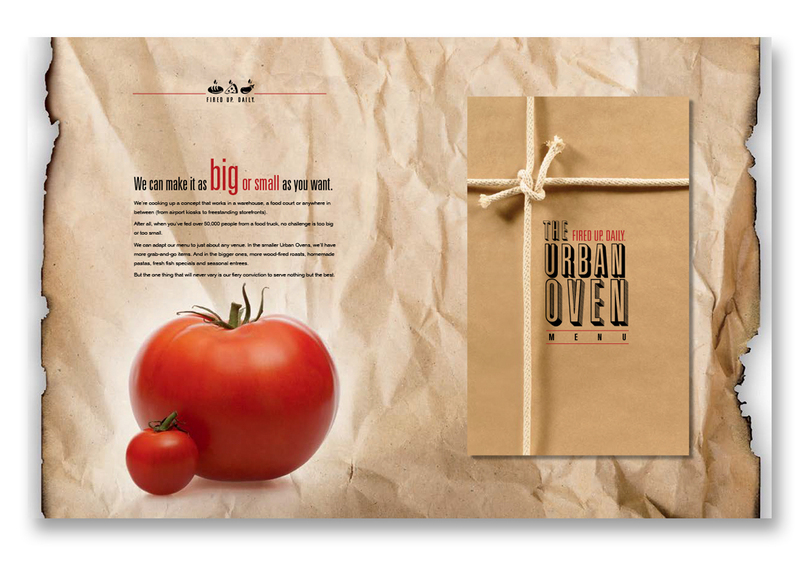 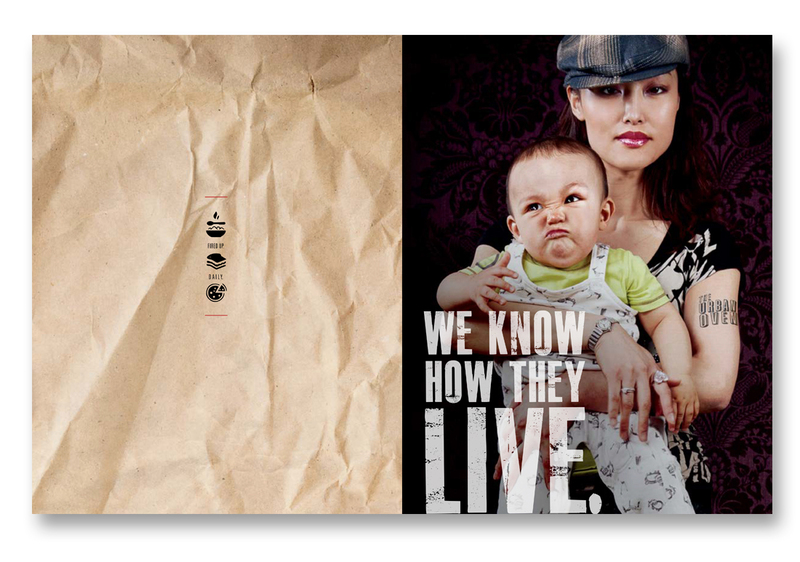 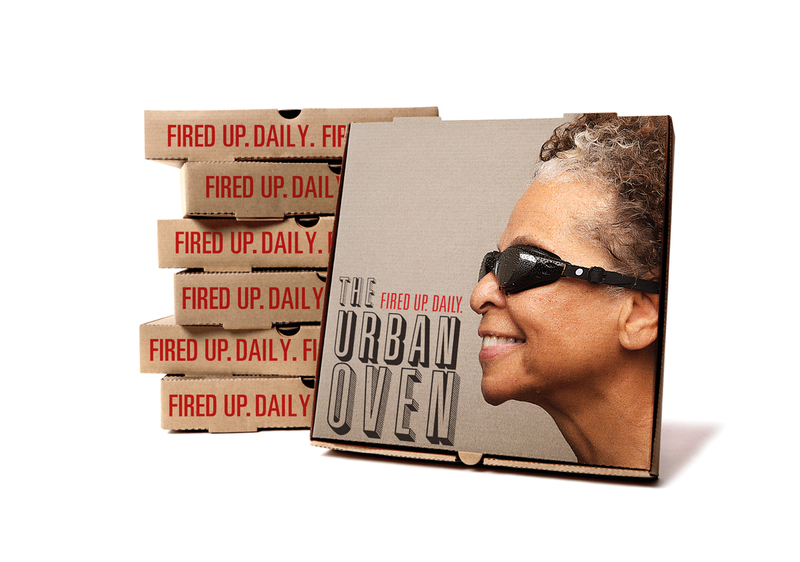 And we served up the entire Urban Oven story in a “branding book” (some of which is shown here). 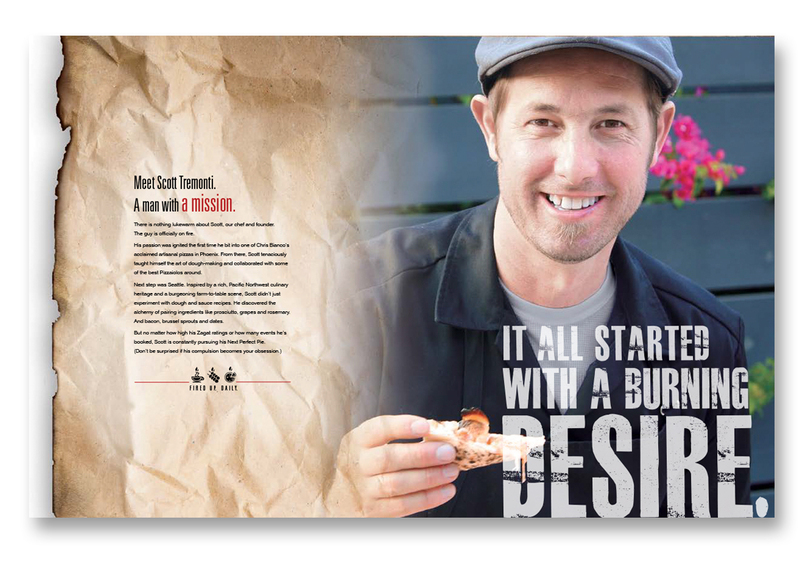 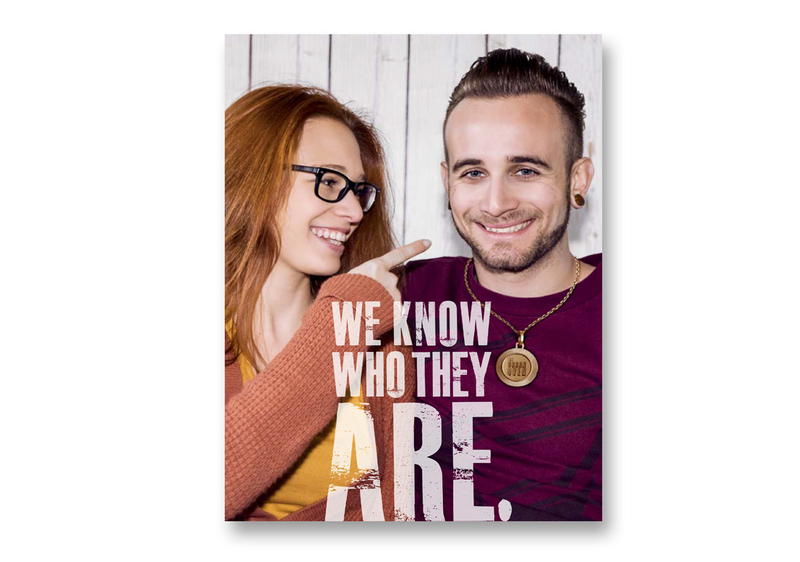 And it was that branding book that got the developers of The Bloc (a premier, mixed-use urban oasis in downtown LA) salivating enough to sign on a first-time restaurant.